Contents of this frames may be used to make 1 Orc Stronghold Gate. 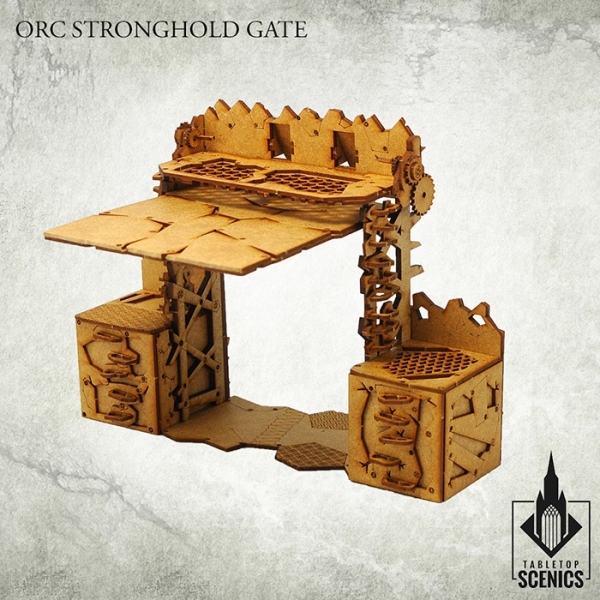 Dimensions: width 18cm, depth 7cm, height 14 cm. 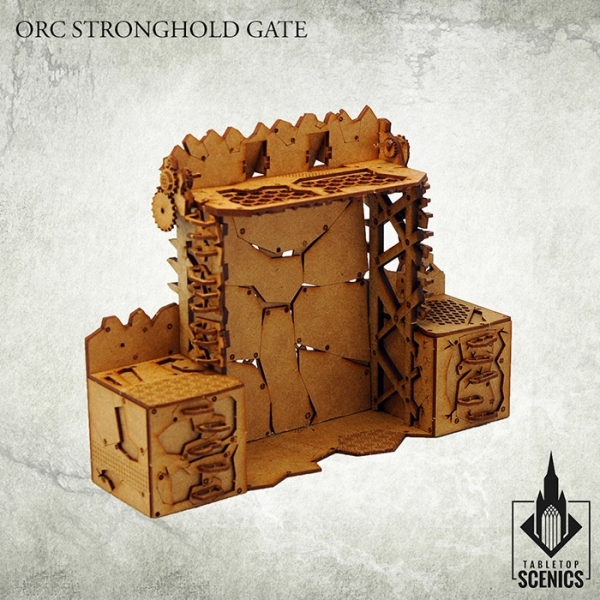 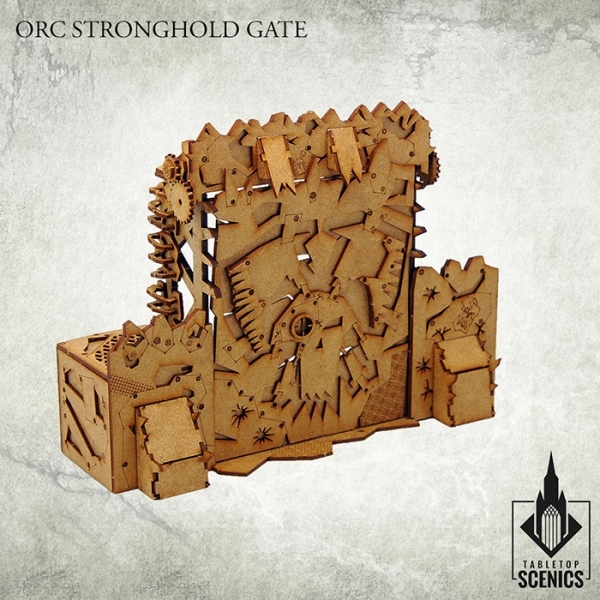 Build to withstand even the most fatal blows, Orc Stronghold Gate is fitted with thick metal plates and mechanisms to provide way even for the largest of warriors. 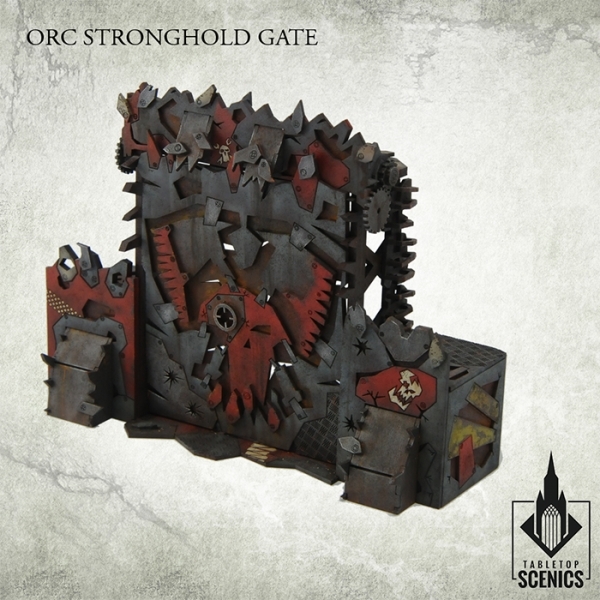 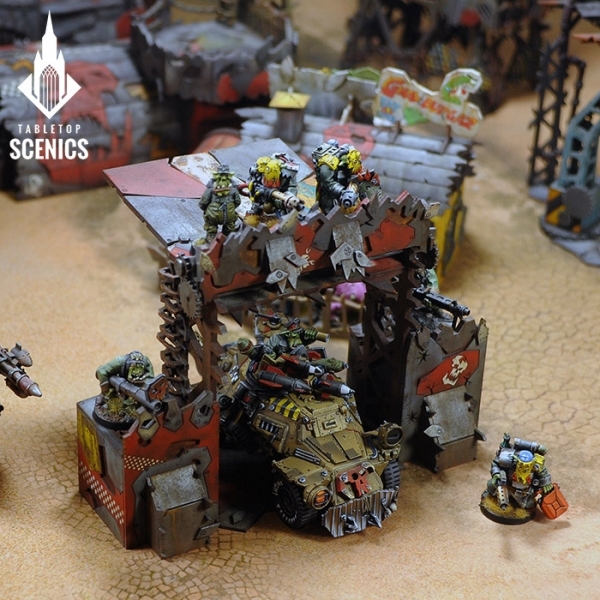 When Stronghold gates are opened, orc vehicles can easily pass along with greenskin warriors o join warmongering throng. 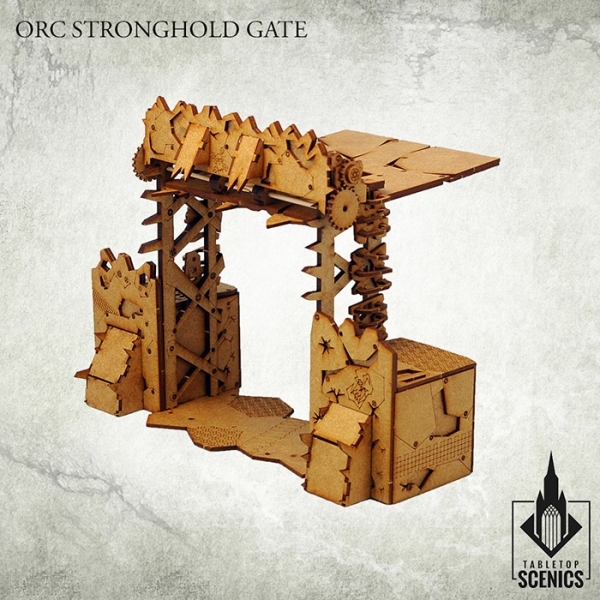 This fortified gateway serves both as a protection and symbol for gathering hordes – its fearsome skull watches everyone approaching.